Allan McArtor, Chairman and CEO of Airbus Group, Inc.
Allan McArtor is Chairman and CEO of Airbus Group, Inc. He oversees the operations, activities and strategy of all Airbus Group companies in the United States, Canada and Latin America. Additionally, McArtor continues to serve as Chairman of Airbus Americas, Inc., and its subsidiaries. In this leadership role in the Americas, McArtor has enhanced relationships with Airbus’ customers, suppliers and government representatives. He was instrumental in establishing the A320 Aircraft Assembly Line in Mobile, Alabama. Throughout his career, McArtor has held a series of leadership and senior management positions in the military, civil and government sectors. Before joining Airbus, he was founder, chairman and CEO of Legend Airlines, a regional airline based at Dallas Love Field, Texas. President Ronald Reagan appointed McArtor to serve as the Administrator of the FAA from 1987 to 1989. 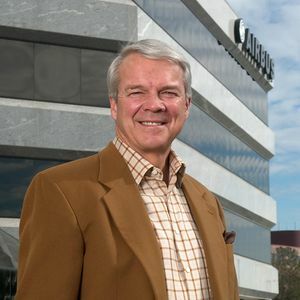 McArtor served on the senior management team of Federal Express from 1979 to 1987 and 1989 to 1994 first as Senior Vice President Telecommunications during the development of FedEx’s extensive satellite-based digital network, then as Senior Vice President Air Operations for FedEx’s global airline. McArtor was a combat fighter pilot in Vietnam from 1968 to 1969, an Associate Professor of Engineering Mechanics at the Air Force Academy, and a pilot with the U.S. Air Force’s Thunderbirds Aerial Demonstration Team.